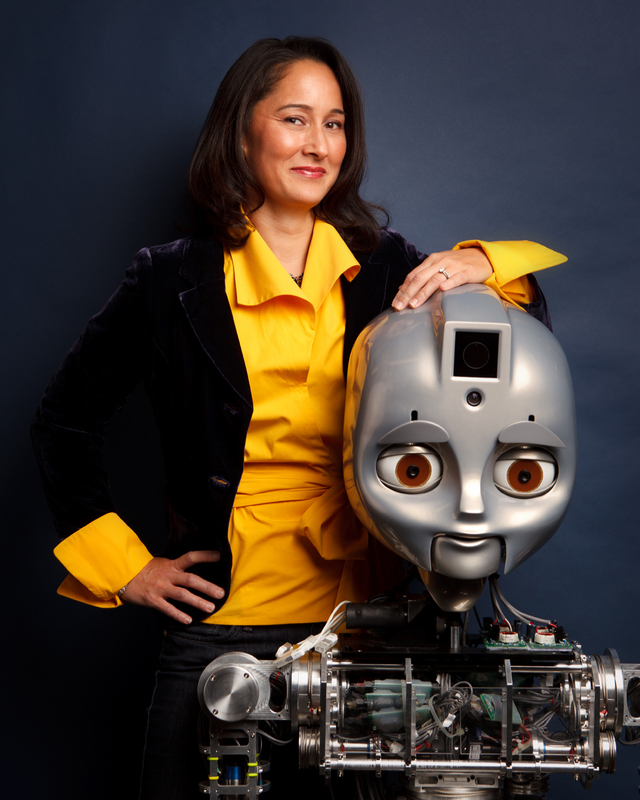 Cynthia Breazeal is an Associate Professor of Media Arts and Sciences at the Massachusetts Institute of Technology where she founded and directs the Personal Robots Group at the Media Lab. She is a pioneer of social robotics and Human Robot Interaction. Photographed with Maddox, a personal robot prototype and also on the Playtime Computing set which is an interactive environment utilizing computers, robots and children combining the physical world with the activities within a computer game/environment.